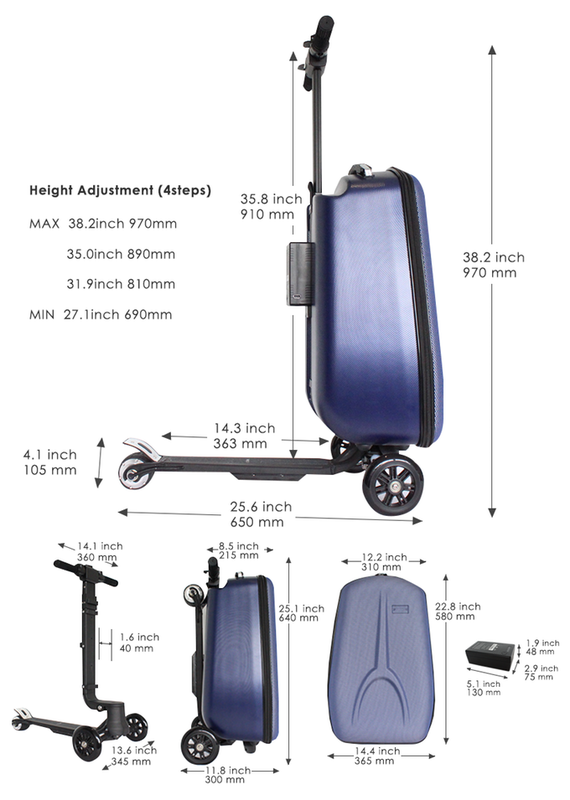 HomeElectric vehiclesGadgetsGreen ProductsLifestyleTransporte-Luggage, a Suitcase with Electric Kick Scooter Makes Your Childhood Dream Come True! 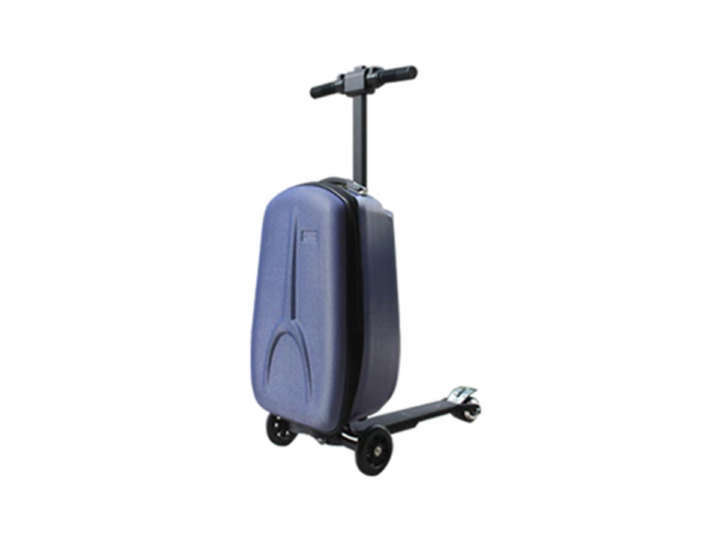 e-Luggage, a Suitcase with Electric Kick Scooter Makes Your Childhood Dream Come True! Many people have played a tricycle during their childhood and enjoyed an unmatched and long-lasting experience of life. If someone says you can enjoy the same tricycle experience today, you might it consider a crazy but now it’s true! A Japanese organization Tobre Co Ltd brings you an electric scooter called ‘e-Luggage’ with carries your suitcase and gives you & your child a pleasure of riding a favorite tricycle. The e-Luggage was born from a businessman’s desire to make traveling easier on business trips overseas and get a charging point for your electronic devices. It has developed in cooperation with a manufacturer of electric kick scooters. The commercialization project DMM.com, collaborated with Tobre Co Ltd started the crowd-funding campaign at Kickstarter for a target amount of $ 25,000, is until November 26, 2017. 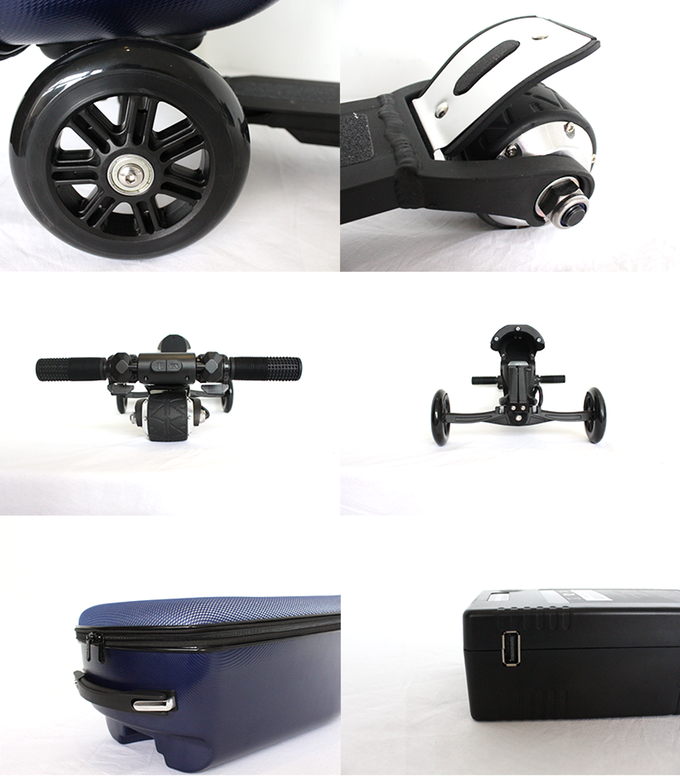 The electric kickboard and the suitcase are integrated to make this amazing travel companion that can be moved by the adults. Use it as a regular transportation device or let your kids play with it too - just remove the suitcase! The battery capacity is 5200mAh (suitable for airplanes) can be used to charge smartphones and can be detached for use as a mobile battery. You can charge around 80 percent within one hour and rest for two hours. The tiny electric scooter has a maximum speed of 20 km/h (12.4 mph) and can cover a distance of about 8 km (5 miles). It’s a powerful travel bag with a maximum load carrying the weight of 100 kg (220 lb) on a flat surface, which allows you to easily move on business trips and travels with lots of luggage. The creator has considered the important safety aspect by providing two level of the brake system. The first brake is a handle on the left lever of the kick scooter and can be used to gradually slow to a stop while the second brake is a foot brake placed on the rear of the kick scooter and can be used to quickly halt the device. The front wheels, mainly used by the electric kick scooter, are 5-inch resin tires. The rear wheels are 3-inch rubber tires that provide core support for the kick scooter. 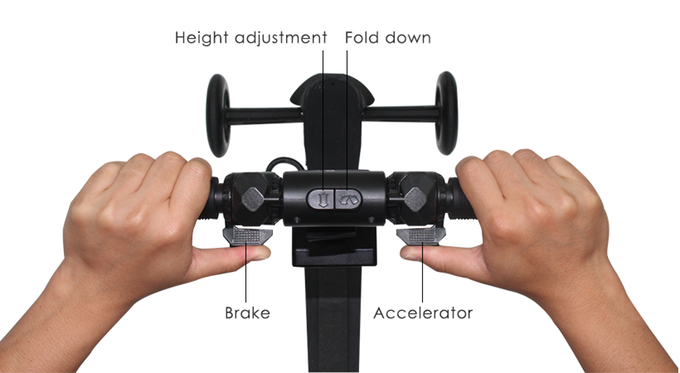 The height of the handle can be adjusted to 4 stages according to your height, and it can be used as a suitcase for hand carry with a single switch. The e-Luggage comes with a 180-day warranty. Product defects occurring within 180 days of purchase will be repaired at the expense of the manufacturer.